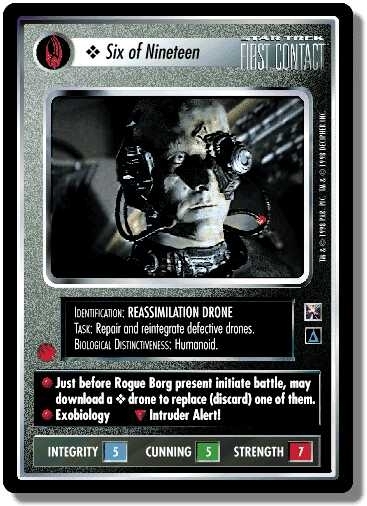 Exobiology Just before Rogue Borg present initiate battle, may download a ❖ drone to replace (discard) one of them. Intruder Alert! There are 25 entries for Six of Nineteen (ST1E 0 P 72) at the Tradeplace (19 haves and 14 wants). Click here to see all trade list entries for this Promotion card!